Today i installed jdev 12 and while deploying i got very weird error like.This solution applicable, whenever you get error related to jdeveloper internal error. 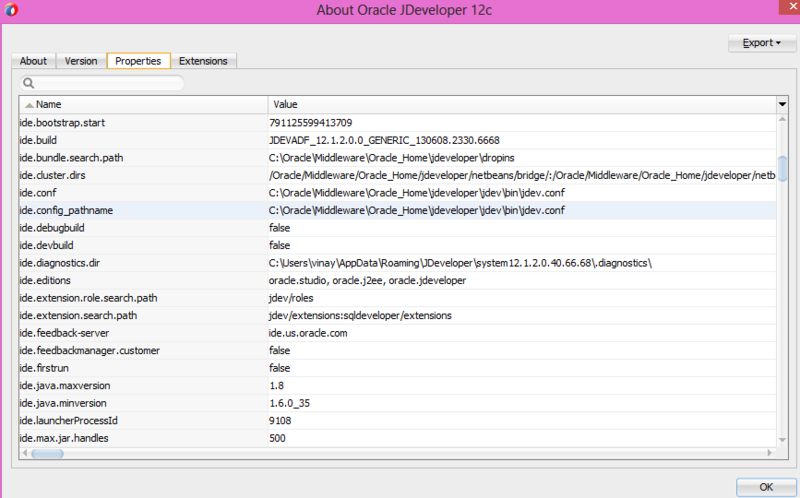 I don;t have clue about it.After i dig more into it.Problem is that system11.1.x.x.x folder of jdeveloper.If you installed earlier old version and then you installed new version, sometime it got confused and system folder doesnt rename automaticallyFix for this either you rename the system folder or delete it and restart jdeveloper. When JDeveloper detects an other system11.x.x.x folder on your system, it asks you if you want to migrate from the other version. 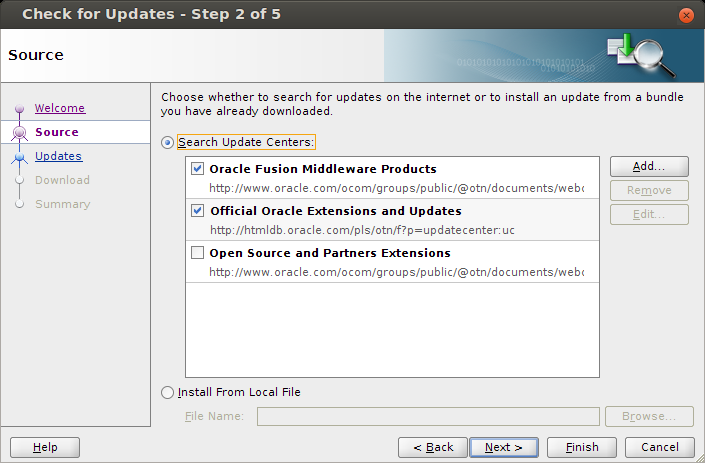 In this dialog you can select or search (if you click the magnifying glass) a version to migrate from. 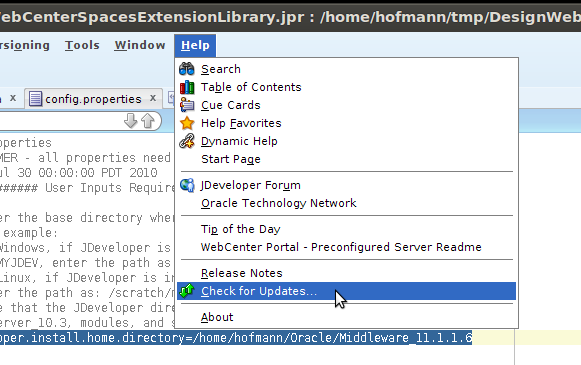 You can force the dialog to appear if you start JDeveloper with the option ‘-migrate’ from a command shell. You should be careful with the migration as it tends to migrate any error too. So if you have to delete the system11.x.x.x folder because of an error, you should first rename the folder, answer the dialog with ‘No’ and see if the problem is solved. Then you can delete the freshly created system11.x.x.x folder and try again with migrating from the renamed folder. If you are lucky the error will not be migrated. 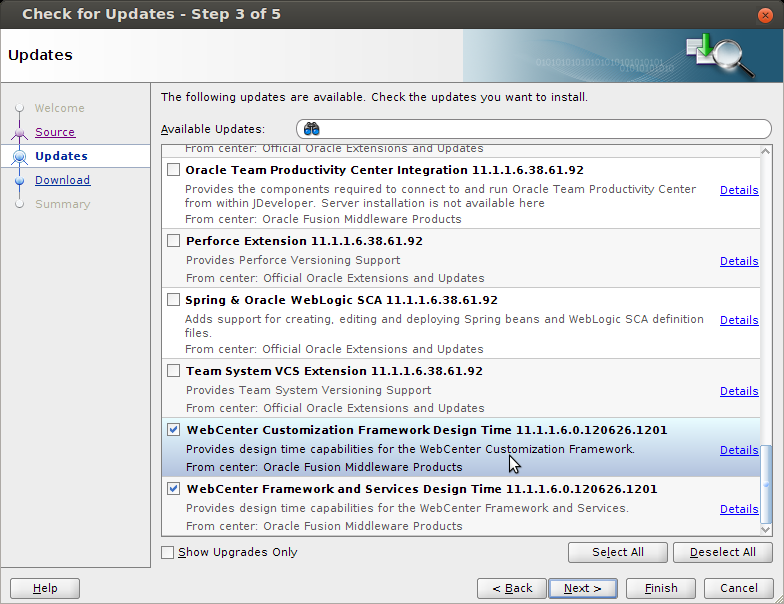 After any such action you should check the preferences again, as all changes you made have been erased. You can get system11.x.x.xfolder path on location in the “Users\AppData\Roaming\JDeveloper\” Folder (windows), as long as you did not specify an other location by changing an environment variable or changing the jdev.boot file.